It’s that time of year again – taxes. Let’s be honest, we all try to find as many deductions as we possibly can, hoping for a large refund rather than a bill. And for those of us whose family members have four legs and fur, we can’t help but feel a bit shorted when it comes to deductions. After all, many of us see our dogs as kids, which are deductible. But did you know there are situations where you can deduct some of your dog-related expenses on your taxes? The terms are pretty specific, but it’s worth looking into when you visit your accountant next month. Jayson Mullin is the CEO at Top Tax Defenders, a tax resolution firm located in Houston, Texas. Mullin gave us the details on what may be deductible in terms of dog expenses. Medical alert dogs – must be trained to detect impending seizures,help impaired hearing, etc. The key here is “special training” required. Medically necessary dogs are required to be licensed by their owner, require special documentation provided by a doctor and special dog tags, says Mullin. See your tax person for more information. Security dogs – must be used as security for a place of business (cannot be a private residence or a hobby farm – true business farms qualify). Must also be a “protection” breed such as a Rottweiler, German Shepherd Dog or Doberman. You also have to keep accurate records of time spent on the job. Dogs trained to find bed bugs. In all of these cases, the cost of buying, training and maintaining the dog is deductible. If the group you are working with as a therapy teams is a registered non-profit, you may qualify. It’s worth checking into at least. Dogs used in hobbies such as show dogs or bird hunting may be deductible. If the dog wins prize money in the endeavor than the expenses incurred to train, show, etc., re deductible up to the winnings. To do this you must be able to file Schedule A.
Mullin says a hobby is defined as “an activity entered into for enjoyment without a profit motive.” They usually only compete locally and may receive occasional income (cash prize for agility, for example), he continues. “Because there isn’t a profit motive any expenses incurred are only deductible up to the amount of income received. f you breed dogs as a business the endeavor is deductible. Proper record keeping is very important to prove it isn’t a hobby. Unlike the above hobbyists, businesses are motivated to make a profit. They may show dogs across the country or even internationally, Mullin says. “A business may incur losses in excess of income while a hobby cannot,” he adds. Fostering or adopting a dog from a qualified charity may be deductible. If the adoption fee is a donation it is deductible. However, if it is payment for the dogs care it isn’t. It is important to read the invoice from the charity to make sure it says donation. Fostering a dog from a qualified charity is deductible. The deduction includes mileage, food, a portion of utilities and even cleaning supplies. Mullin also mentioned to us that there is a movement in the state of California to make medical expenses for dogs a deduction on the state income tax return. “To my knowledge, this is the first attempt of its kind to add the deduction to the tax code and is specifically aimed at the family pet,” he added. Of course, you could observe National Dog Day by simply giving your dog a nice big hug to let him know how much he means to you (and you probably would do that any day of the year!) But if you want to take it to the next level, here are a few fun ideas. If you’ve been thinking about adding another furry family member, National Dog Day is the perfect time to adopt a dog from your local shelter or rescue organization. Even if you can’t provide a fur-ever home for a dog in need, there’s plenty that you can do to help. Donate blankets, food, or toys to a shelter or volunteer to spend some time walking and playing with dogs or cleaning cages – there’s sure to be plenty to do! Encourage others to adopt by sharing some of your favorite kodak moments of you and your adopted or rescued pooch on Facebook, Instagram, or whatever social network is your favorite. Or, find adoptable pets online in your community, and share their pictures and links to how to adopt. When was the last time you did a safety check of your home? Dog proofing is a super important step in keeping your tail-wagging friend safe, and there may be some hidden doggy hazards in your own home. Here is a helpful list of dangers that pet parents should be aware of. Throw a party for the dog parents in your life, and invite them to bring their dogs along too. To keep it interesting for both your furry and non-furry guests, you may want to plan some fun games that everyone can play together. If you’re good with a camera, National Dog Day is a great excuse to take your furry friend out for a photo shoot. You’ll end up with a new portrait you can display, and you’ll both get to enjoy some bonding time in the process. If photography is not your thing, consider hiring a professional to photograph your dog. You could also have a portrait painted. I love these by MyPoochFace. What dog wouldn’t love a new toy (or 3 0r 4)? Go ahead and buy that special toy, and then spend some time together breaking it in. Or you could treat your dog to a stylish new collar and leash or a nice comfy doggie bed. If your dog could talk, he’d probably tell you that there’s nothing better than a little extra attention from you. Spend some extra time brushing him or teaching him a new trick. Or, if you’re feeling adventurous, take him for a romp at the local dog park or a nice run on the beach. However you choose to observe National Dog Day, you’re sure to have a fur-bulous time celebrating man’s best friend. Don't make Fido sleep on the floor because you cant find an attractive bed for him . We have several options to suit your pup as well as your home's style. Elena Shumilova is a mother from from Andreapol, Russia, that has been taking stunning photos of her sons with animals. Now, those photos are making their way around the internet. The photos, hosted on 500px , aren't just cute (although they definitely are). They show a connection between children and animals that, as adults get older, we forget about. It's magical. Elena began taking pictures of her sons Yaroslav and Vanya in 2012 when she received her first professional camera. Elena used to sketch and paint, now her medium is photography and her subjects are her sons. And the animals have a special connection with them as well. Children and animals are both innocent. They live in a fantastical world that we adults seem to forget about. #1 Slim down If your dog is overweight, commit to helping her slim down. Extra weight places extra strain on joints, worsening the pain of arthritis. 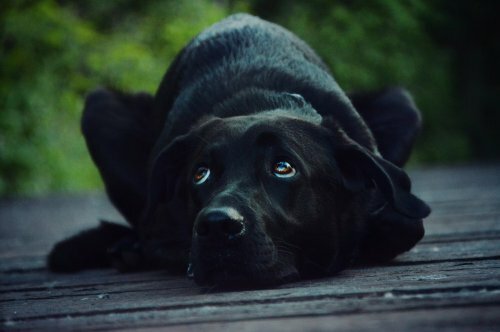 Feeling guilty because your dog is looking longingly at her food bowl? Mix a little pumpkin (unsweetened, not canned) into her dinner; it’s healthy, low cal, and will help her feel full. We like both Fruitables' and Merrick's natural canned pumpkin for dogs. #2 Gentle exercise Your dog absolutely still needs regular exercise—it is a must—to keep her moving and from stiffening up, just make sure it’s controlled, gentle, low impact, and short in duration. Try a dog treadmill, which allows for a slow walk at your dog’s desired pace. #3 Ramps & pet steps Help your arthritic dog get up steps, on to a bed, or in and out of cars with a ramp or pet steps. #4 Improved traction Arthritic dogs are less steady on their feet. Offer them stability with secure rugs for traction or a product like Dr. Buzby’s Toe Grips, which puts an end to slipping, sliding, and struggling, by providing instant traction for slipping senior, arthritic, or special needs pets. Made of a natural nonslip material, they grip the floor, keeping your dog steady and upright. #5 Canine massage Massage eases sore muscles, lowers blood pressure, and reduces stress for both the giver and receiver. Plus, it’s a great for bonding and a wonderful way to check in with your older dog, enabling you to note any new lumps, bumps or sore places. For a canine massage how-to illustrating four techniques to help your dog rest, relax, and rejuvenate. #6 Acupuncture Yes, acupuncture. It’s not just for people. Veterinary acupuncture stimulates the release of the body’s own pain relieving and anti-inflammatory substances. #7 Sweet heat Heating pads relieve aches. For a low-tech solution make your own DIY warmer in a jiffy; here’s how: fill a cotton tube sock or knee length sock with four cups of rice or whole corn (not popping corn! ), then knot the end or tie it off with string or stitch it closed. Microwave it for a minute, and voilá, you’ve made your dog a heating pad! Or go high-tech for testimonial-backed results that go beyond soothing aches and pains. Canine Light Therapy pads use specific wavelengths of light for therapeutic and healing benefits including pain relief, muscle relaxation, stimulating acupuncture points, releasing trigger points, and healing injuries. #8 A comfy, supportive bed Give your dog a comfortable, supportive bed to ease his weary bones. A well-padded resting spot goes a long way. “Natural options to treat arthritis in dogs include devil’s claw, a herbal remedy that's prescribed to reduce inflammation and pain. It's often used when pets are diagnosed with arthritis, but it shouldn't be given if your pet is diabetic. Mild cases of arthritis respond well to vitamins C and E, as well as dl-phenylalanine. If the case is severe, adding sodium oxide dismutase, also known as SOD, can do the trick. This is an antioxidant that provides anti-inflammatory properties. If you want to take an Ayurvedic approach to treating your pet's arthritis, you can try Boswellia and Ashwaganda. Both are anti-inflammatory herbs that provide relief of stiffness and pain by shrinking inflamed tissues down and increasing the blood supply to these areas in order to promote healing. Ashwaganda also helps generate energy while counteracting the negative effects of stress on the body. Glucosamine and Chondroitin are also popular natural remedies that support healthy joints by enhancing the cartilage between the joints. These supplements can help halt the degeneration of the cartilage and help the body rebuild it. Pau D’Arco is an herbal remedy that's known for relieving the pain caused by arthritis, which can promote mobility if your pet is having trouble getting around. Be sure to check with your vet to see which supplements are suitable for your dog. Some natural remedies can react with medications your dog may be on.